Max Moss is an enlisted man in the U.S. Air Force. He is definitely a man who chooses his own path. When his father, a retired Major General and founder of Moss Electronics, expected Moss, who had just graduated head of his class at Berkeley, to join the family business, starting at the bottom and working his way up, of course, he was surprised. Moss wanted something else, anything else, than to be under the control of the old man, especially miffed that his father had just assumed, never asked, what Moss would do with his life. So he looked elsewhere. He was an up-and-coming race car driver for two years until his father intervened and got that cut short. Not wanting to use his electrical engineering education because that would be too close to what his father would have wanted, Moss decided the military was the place for him. But he did not want to be an Army officer like his father. In a further act of rebellion, he chose the enlisted ranks, and the Air Force, which to his father was almost a sin. For the four years prior to the start of the series, Moss has been an aircraft mechanic, rising to the rank of T/Sgt. 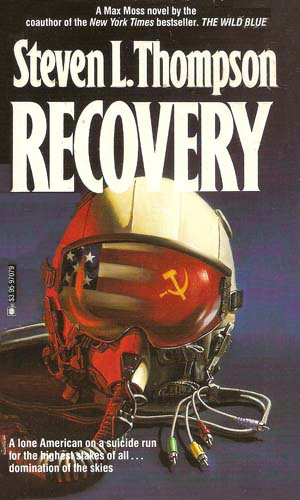 His future takes a sudden and interesting change as the series starts when he is offered a chance to join Military Intelligence as a member of a Recovery team, a group of covert operatives who make rapid entries behind the Iron Curtain to pull downed spy plane pilots or to sneak someone in. This leads to adventures far more than Max could have imagined, or likely wanted. Even when his time with the Recovery team ends, his work with Intelligence continues, just in different ways but still dangerous and still exciting. 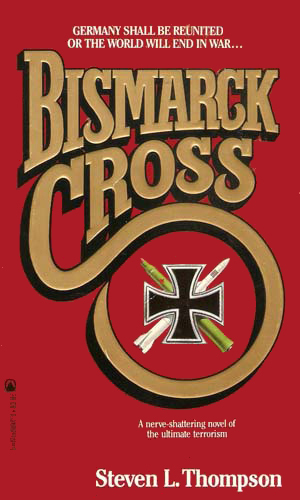 A member of the crack RECOVERY team, Max Moss is ordered to sneak into Communist territory to retrieve highly classified technology which had been onboard an American fighter shot down by the East Germans. 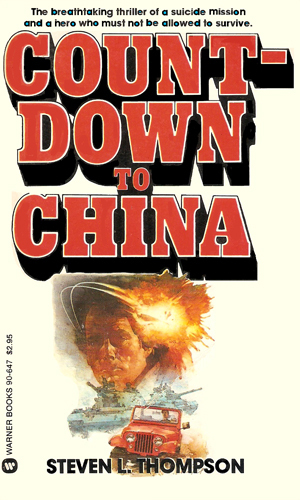 Max Moss is sent deep into East Germany to recovers satellite photographs which provide proof the Soviets are preparing for war. 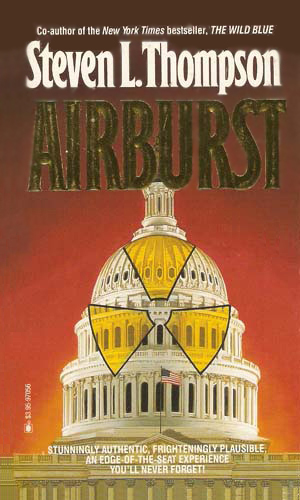 To stop him, the Soviets and the East Germans are joining forces but the greatest threat in from inside the White House. Two Germans, one from East and the other from West, are determined to see their two halves reunited, even if it means using nuclear weapons against NATO and the Warsaw Pact. Max Moss seems the only one with a chance of stopping them. Now ex-USAF, Max Moss feels freer but a bit out of his element. Then the government comes needing his help to stop a Vietnam vet who has managed to steal a nuclear weapon from the Israelis and plans on getting revenge on his own government. To finance an expansion of his drug trade, a man manages to steal stealth secrets from Moss Electronics and offers to sell them to the Russians. Max Moss is asked to help get them back. If you want a techno-thriller hero who is a bit more down-to-earth and not so techie but who still loves a fast race and a beautiful woman, Max Moss is your man. The books are a fine combination of the action, love-em-and-leave-em 70's hero and the state-of-the-art 80's hero. They are fun to read. The plots are standard but the hero is very entertaining, making the books worth the time. 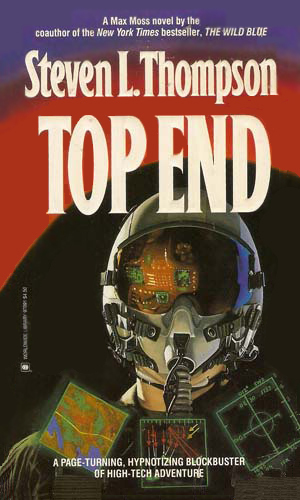 With regards to the techno-thriller genre, Mr. Thompson's series about Max Moss didn't get the attention that Tom Clancy or Stephen Coonts did but he was right there with them, nevertheless, helping to spawn a new generation of hero. He actually preceded them with his first novel coming out in 1980, four years before Mr. Clancy's first and six years before Mr. Coonts'.